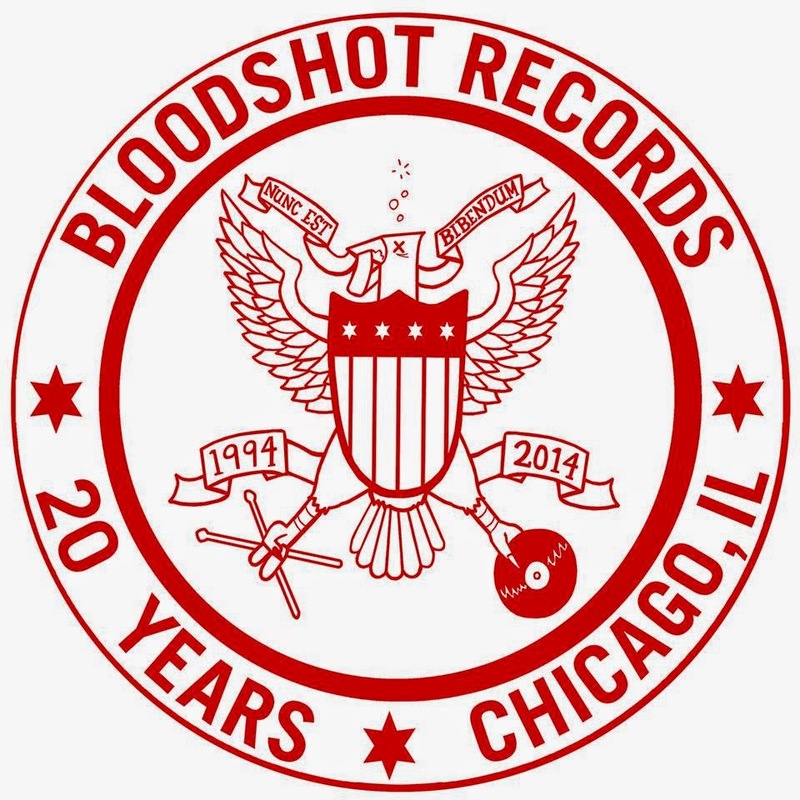 This year marked the 20th anniversary of the Chicago based record label Bloodshot Records. To celebrate, the label is releasing a limited edition 2CD or 3LP set of covers performed by some of the biggest underground artists in music. Many of the 38 songs contained in this set were originally recorded by Bloodshot Records' artists, beginning with Blitzen Trapper performing a countrified version of Ryan Adams' "To Be Young (Is To Be Sad, Is To Be High)." Chris Shiflett (Foo Fighters, Me First & The Gimme Gimmes) takes on Justin Townes Earle's "Look The Other Way" with ease as he step out of his comfort zone with this rendition. Newcomers Into It. Over It. tackles the subtlety of Neko Case's "Deep River Bells," while Limbeck picks up the tempo with the alternative country feel of Old 97's "Sound Of Running." The "supergroup" Minus 5 turn "Cherokee Grove" into one of their own as guitarist Peter Buck (R.E.M.) adds dashes of familiarity to the song's upbeat feel. The first disc closes with a spot on cover of Murder By Death's "I Came Around" from Possessed By Paul James as his vocals draws similarities to a younger Ryan Adams. The second disc starts out with violinist Andrew Bird and Nora O'Connor breathing new life into the Americana single "I'll Trade You Money For Wine" originally written by Robbie Fulks. Singer/songwriter Ben Kweller feels right at home performing The Meat Purveyors' "2:00 AM," while the alternative rock band Superchunk turns Ryan Adams' "Come Pick Me Up" into a fun pop/punk anthem. The legendary Make Watt (The Minutemen, The Stooges) takes on The Sadies' "Up To My Neck In This" with an edginess only he can delivery, while the warm comfort of Nicki Bluhm's vocals bring through the meaning of Ryan Adams' "Oh My Sweet Carolina." Two Gallants gets things rocking with a punk-like version of Scott H. Biram's "Truck Driver" and Diarrhea Planet joins the fun with a destructive version of the Waco Brothers' "Dry Land." The second disc wraps up with the ambient feel of Charlie Pickett's "Like It A Lot," performed by Interpol's Samuel Fogarino. To find out more about this wonderful set that celebrates what Bloodshot Records is all about, then please visit bloodshotrecords.com. This is an awesome CD. If you don't have lots of money to spend on CDs buy them secondhand or sell some of your old CDs. I usually use http://www.bonavendi.com/sell/b/CDs.html so that I see where I get the most money for the stuff that I sell.